3 Beds 2 Baths 3,201 Sq. 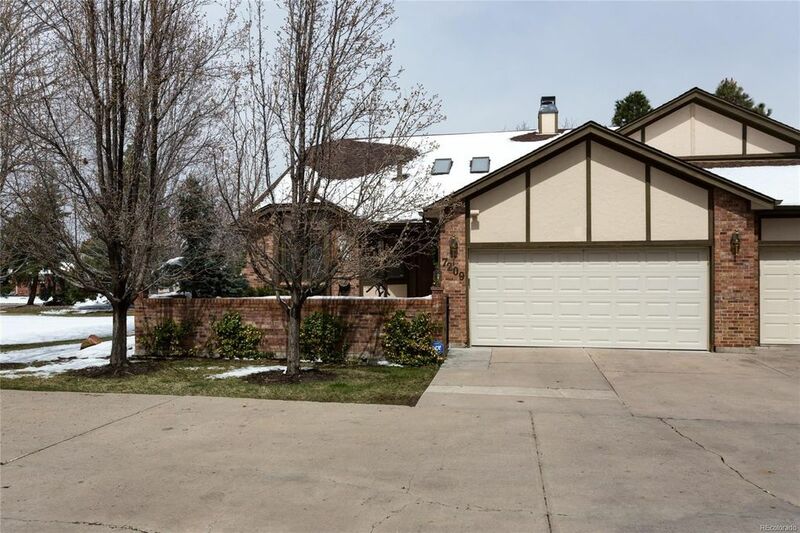 ft.
Rare Highly Desired Ranch Style Home in Littleton's Sundown Ridge! Great Location~End Unit Sides to Open Space~Lovely South Facing Patio surrounded by Trees~2 New TREX Decks. This beautiful home has a bright & sunny ambiance, entry skylight, vaulted ceilings, Pella windows throughout. You'll love the renovated Kitchen with its large picture window, slab Granite counters, black appliances, Cherry cabinets, gas range & convection oven. Hardwood floors in the entry & kitchen. Master suite has access to West deck, updated 5-pc bath, jet action tub, Granite counter & cherry cabinet. Relax in the Great room & entertain guests in dining area w/ 3-sided gas fireplace. Library nook w/ sliding door to deck. Guest bedroom on main. Basement offers a 3rd bedroom, laundry & storage area. Fantastic location close to old Littleton, downtown, C470, steps to the Highline Canal with miles of trails! Spend your time enjoying the great outdoors as the HOA handles the yard work and exterior maintenance.